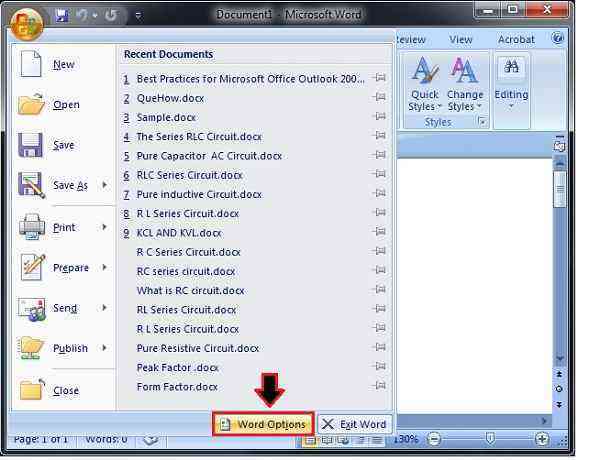 Do you want to know how to change the default file format in Microsoft Word?. 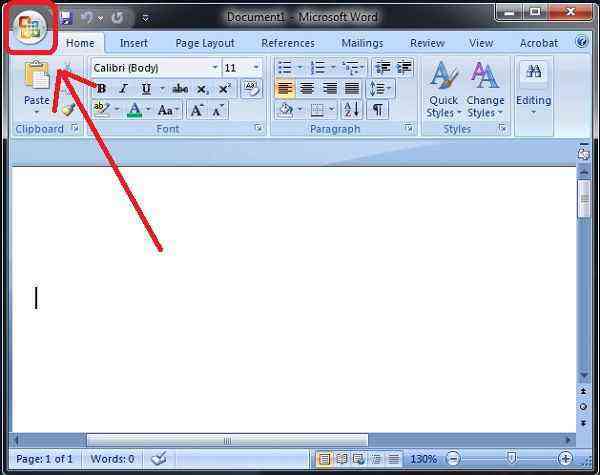 If you’re a kind of person who uses the latest version of MS office, say Office 2010, but your friends or colleagues use an older version of MS word, and if you share your Word file with them, then it might be tedious for them to convert and then open that file. In this kind of situation, you can quickly change your default file format and share your Word documents with your friends hassle free. 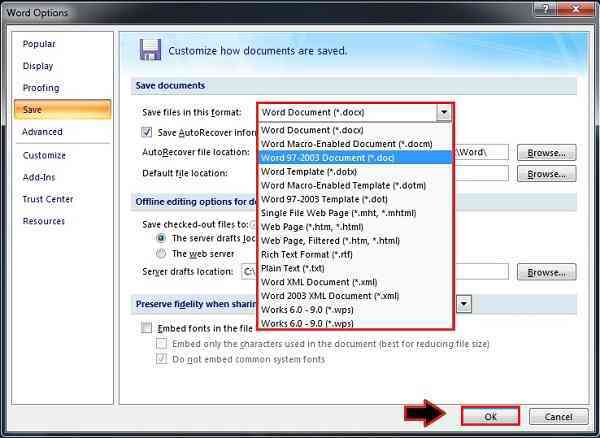 Just have a glance at this article to know how to change the default file format in Microsoft Word. Step 1: First open your Microsoft Word document and then click on the Microsoft Office icon which is at the top left corner of your screen. 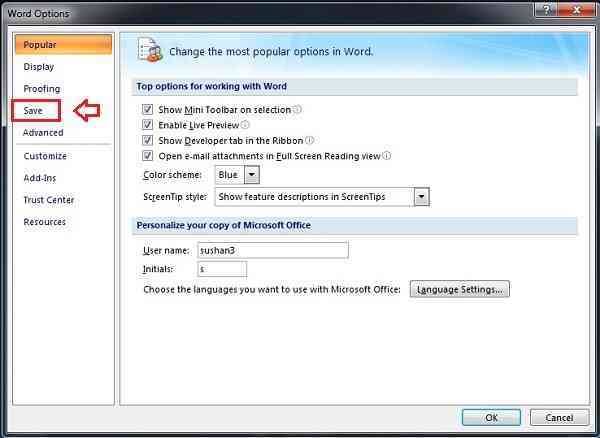 Step 2: Now, go to the “Word Options” which is at the bottom of your MS Word screen. 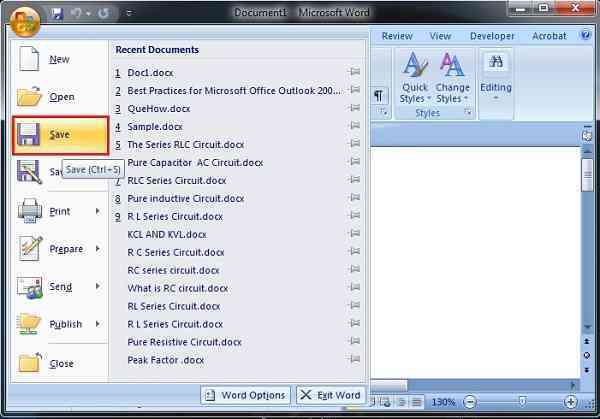 Step 3: Under ‘word options’ you may see different categories on the left side of your screen. You just need to traverse towards the “Save” section. Step 4: Under ‘save’ section, go to the “Save files in the format” and click the drop-down button. Step 5: Here, you may see different format options. Just select the one which you want to set as default and then press the “OK” button. 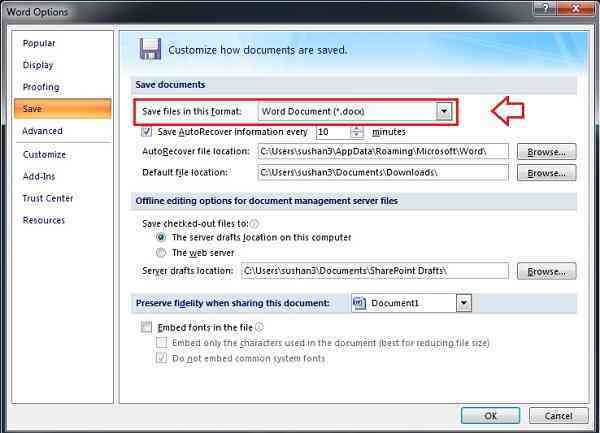 Step 6: Now try to save your word document by clicking on the “Save” button or directly hit (Ctrl + S) shortcut key. 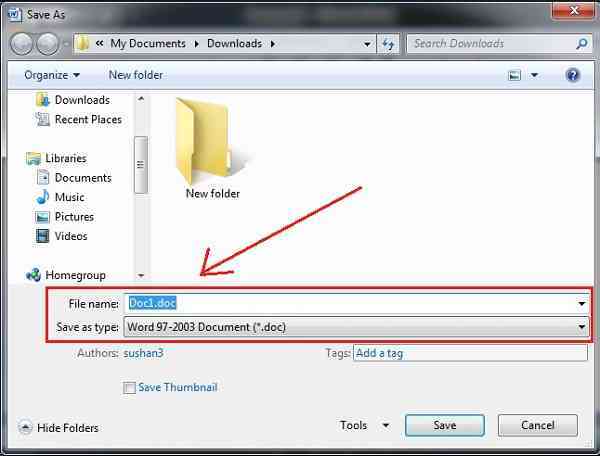 Step 7: Finally, you may see your file name as ‘Save as type’ is by taking ( .doc) extension by default.